Installing or upgrading a kitchen island in your kitchen is a pretty smart move. One house-selling expert says that the kitchens which impress buyers the most are the ones that have an eye-catching kitchen island. Other designers and real estate agents call a kitchen island a “must have”. Islands look beautiful, save space, and offer extra storage and functionality – not to mention creating the overall impression of a more luxury-grade kitchen. Even if you’re not planning to sell right now, it’s never a bad idea to make your home more attractive while increasing its long-term value. Since a kitchen island isn’t usually a super expensive item (compared to your average remodeling project), it’s also often a safe bet for a high return on investment (ROI). This is even more true if you factor in things like aesthetic value and enjoyment factor – although those things are hard to estimate, since they will differ from person to person. In general, though, most small kitchen remodeling projects (like adding an island) recoup an average of 83% of their cost when the home is eventually sold. That’s a lot higher than most other remodeling projects! Below are 18 incredible kitchen island ideas to get you started, along with each island’s pros and cons, as well as their estimated costs. If you have an old console table you’re not using, why not turn that into your next kitchen island? Console tables are designed for use in halls and entryways to provide aesthetic value and (often) extra storage. But there’s nothing stopping you from repurposing a piece of furniture already meant to beautify a space and using it to improve your kitchen setup. Pros: Consoles are usually very narrow, meaning they won’t take up too much precious space. Many of them come with drawers or shelves built-in, giving you much needed storage areas. Cons: If the console you’re using doesn’t have a lot of storage options, you may have to get creative or add a lot of hardware to get the space you want. Also, if you don’t have one and can’t find one you like that matches your kitchen, you might have to buy new – but that sort of defeats the point of the “repurposed” look. Cost: If you already have one, it could be free! You can also get them from anywhere from $10 to $100 on Craigslist or at garage or estate sales. If you plan on painting or adding hardware (such as caster wheels – a cheap, smart bet in a kitchen), you’ll have to factor in those costs as well. You know that workbench in the garage that no one ever uses? The one that’s taking up space, but you don’t want to get rid of it because you might use it someday? Well, guess what – you are going to use it someday. As your kitchen island! A workbench is typically exactly the right size and shape for an island and often has perfectly-sized drawers. And many of them are already on wheels, which is great for portability. Pros: If you go with a metal workbench, like this Husky tool bench, you’ll love the extremely wide top drawer for storing spices, cutlery, and other things taking up counter space in your kitchen. But regardless of what kind you choose, workbenches are designed to hold tools and take a beating – exactly what you want if you’re planning on using the island for cooking. Cons: If you refurbish an old bench, you’ll most likely have to factor in the costs of resurfacing: sanding the top surface and possibly oiling and staining it – though those things don’t typically add up to much. (You don’t want to cook on a surface that has old oil or paint spills on it!) Also, workbenches work best in a kitchen that already has a rustic or industrial look – so this island solution won’t look great just anywhere. Cost: That depends on what’s in your garage. An old one may just cost you $20 for some sandpaper and some nice hooks for hanging things or other embellishments. A brand new one will typically run you between $200 and $300. For another look with boundless industrial appeal, almost any metal rack can be turned into a kitchen island with the addition of a set of wheels (and perhaps a top surface if you’re re-purposing a small set of metal shelves). Often sold new as “kitchen carts”, these professional-looking items practically beg you to get cooking. Pros: Metal racks are germ-resistant and super easy to clean. They’re also lightweight, moveable, and especially good for storing things you also want to have on display: a beautiful basket, a colorful set of plates, or your impressive KitchenAid. Cons: Metal racks usually don’t have drawers and may be limited on storage space. Their aesthetic is industrial, which may be too cold or unappealing for some people. Cost: Even brand new metal racks are often cheap: this one at Home Depot runs $60 and could be turned into a beautiful island with the addition of a hardwood top, which – depending on how fancy you want to go – could run you from $60 to $300 or more. Whether your goal is to increase the value of your house or you’re simply wanting to make it a more enjoyable place to live, choosing to do a remodel or renovation is one of the best decisions homeowners can make. Breathing new life into an outdated kitchen adds value to a home in numerous ways. To get the most bang for your buck it’s important to set a budget from the start, know your needs and understand where the money will go. Before shopping for appliances, tile or flooring, know your personal needs and goals for the outcome of the remodel. Then you can create a wish list of desired components and begin your search for a contractor. 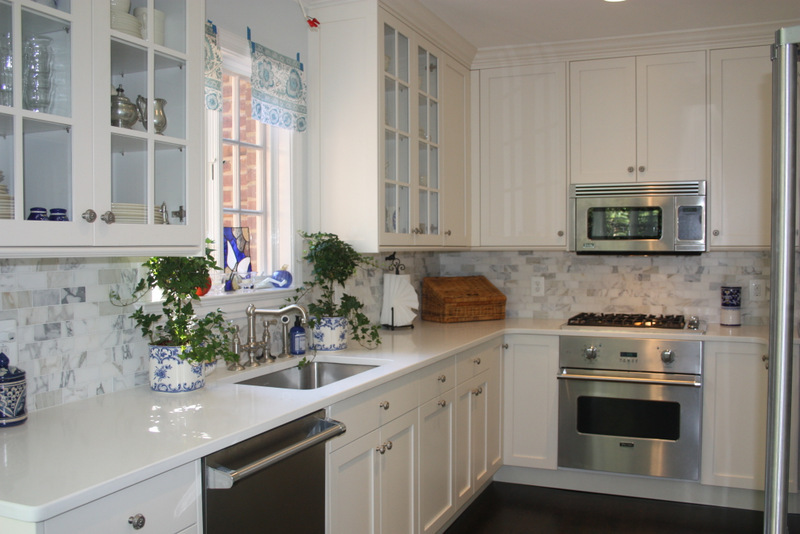 The National Kitchen and Bath Association (NKBA) has a recommendation for the value of a kitchen remodel to help homeowners set an appropriate budget. As you create your budget, there’s more to consider than the amount of money you can afford to spend. Essentially, putting too much into a home improvement project can affect the rate of return on your investment. The NKBA recommends budgeting 15-20% of the value of your home. Once your budget has been determined, cut it by at least 25 percent. Set the extra money aside as a cushion to make unexpected surprises much less stressful.